Racing game enthusiast? Then you’ve of course familiarised yourself with the widely popular and ever successful Forza series, which has always been an Xbox exclusive. 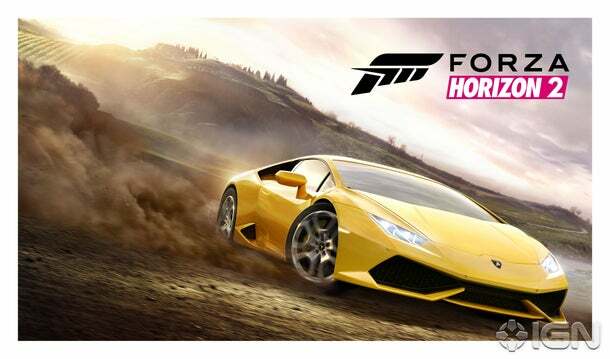 If you are in fact a fan of the series, then there is some fantastic news for you today, as Forza Horizon 2 has been announced! Microsoft has revealed that the game will be available on both Xbox One and Xbox 360, so those of you who have not yet moved onto the next generation consoles can still enjoy this exciting sequel! This Fall, players can look forward to returning to the Horizon universe, but this time they’ll be in southern Europe as opposed to the States, so there is bound to be some breathtaking scenery and exciting tracks for players to familiarize themselves with and master! Sunday drivers, do not fret! For those of you who have not played the first Horizon instalment, it is totally free roam! So there is a huge chance this one will be as well, so you can relax in sunny Europe while you drive your expensive Lamborghini around! Anyone who has played Forza 5 for the Xbox One will be pleased to know that the Drivatar system is going to be making a return in this sequel, so you can look forward to the extra credits! Hundreds of cars will be at your disposal, and avid fans know how versatile the choices are. It was revealed that music would be a massive aspect in this instalment, just like the first game, this one will be set around a music festival! Also announced was the introduction of a weather system into the game, something players will have been looking forward to for a while. With vast improvements and upgrades coming in this game, I am very excited to see how it plays out. Being a fan of the Forza series I was a little disappointed with how Horizon felt, but after playing Forza 5 I have the highest of hopes for this game to be as breathtaking as Forza 5.